And elephants in the base ! Something big is happening here ! 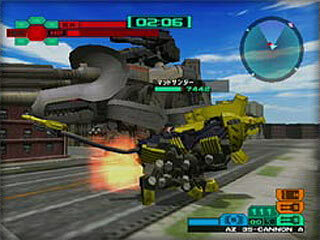 A special edition of Zoids VS II will be available at the same time for 8.800 yens, you'll get Zoids VS II bundled with a Zoid toy, the "desert liger", a robot tiger equipped for desert combat with anti-sand filter and heat resistance. Nice idea, isn't it ? 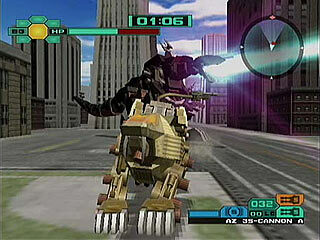 And the first persons to reserve the game in Japan will also receive another Zoids toy, The Hellcat Noir. 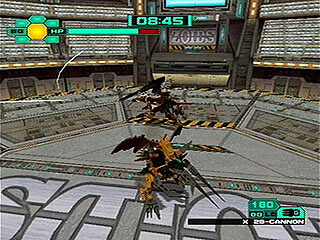 The Battle Mode has been improved with addition of larger characters such as Deathsaurus and Deathstinger, and later in the game you can control Ultrasaurus and Mad Thunder. There are around 50 characters and according to the character you choose, opponents are different. A new battle mode type, Fist Mode, is also introduced taking place in a ring in 1-to-1 matches. You have to kick your opponent out of the ring to win. It seems though a partner outside the ring can help you. Sounds a bit like wrestling, doesn't it ? - Guard Mission (Republic). You have to protect a hovering cargo from the enemy fire until it reaches its destination. - Sniping Mission (Republic). You have to shoot some enemies from the distance with a sniper rifle. 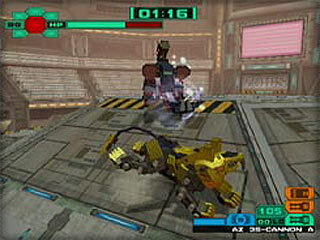 - Destruction Mission (Empire). 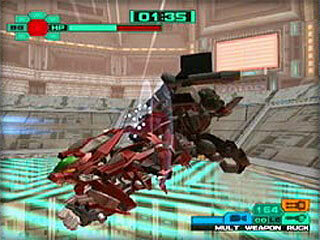 A radar must be destroyed with the Proto Saber. 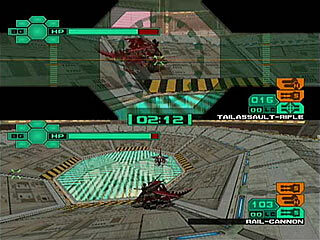 It features also a VS Mode where you can fight against another Zoid controlled by a player or the computer in a vast area. 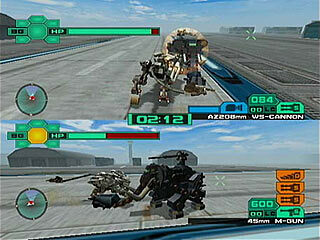 It's been improved over the first Zoids VS (you couldn't customize the Zoid of the computer nor use big Zoids back then). Tomy has another surprise for the fans. 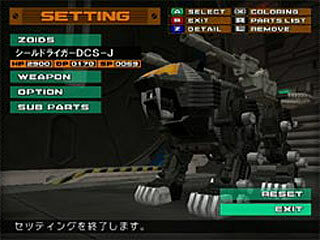 If you use with Zoids VS II the memory card with the data from the first game, you'll receive a new character the Shield Tiger-DCS-J. "Take on the role of your favorite character. 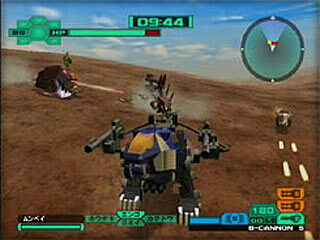 Create and customize gargantuan ZOIDS. Carry out dangerous missions. 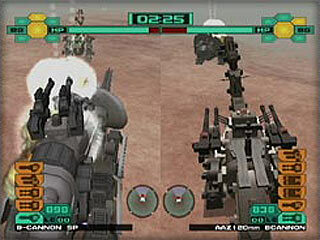 Unleash devastating firepower and destroy enemy forces. 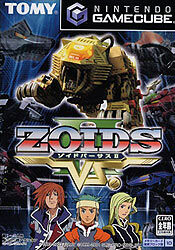 Welcome to the world of ZOIDS!" 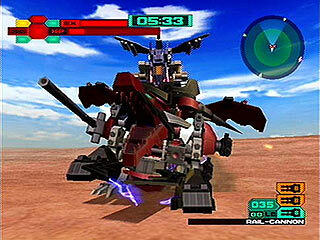 - ZOIDS Fists Mode: Inflict damage by using advanced fighting methods in a confined arena setting"